What is “Climate Change” anyhow? We need to start asking those making the wild claims what they actually mean by “climate change”. What constitutes “climate change”? What defines “climate”? Is it just the range of limits of weather during some period of time? What the heck do they actually mean? What are they actually freaked out about? 1c warmer? 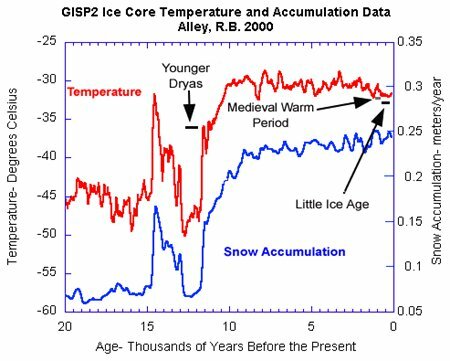 If one looks at climate as being the range of weather over the last ~10,000 years then it’s clear that not much has changed at all and in fact it’s a wee bit cooler by something like -2c to -3c or there abouts. Damn the Romans had it warmer.